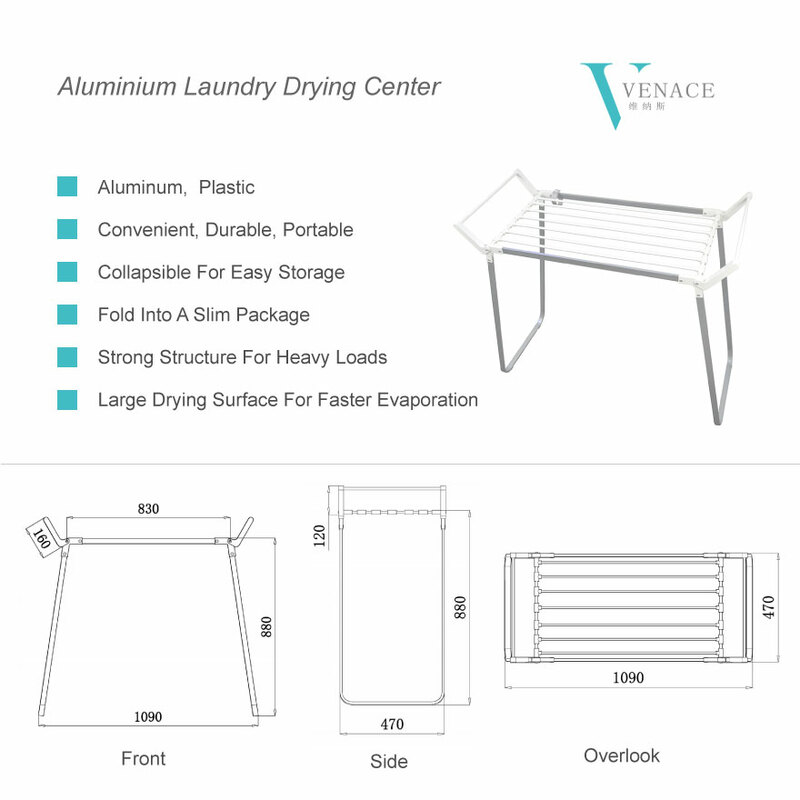 Venace offers good quality Aluminum laundry drying center, clothes drying Rack at factory prices. 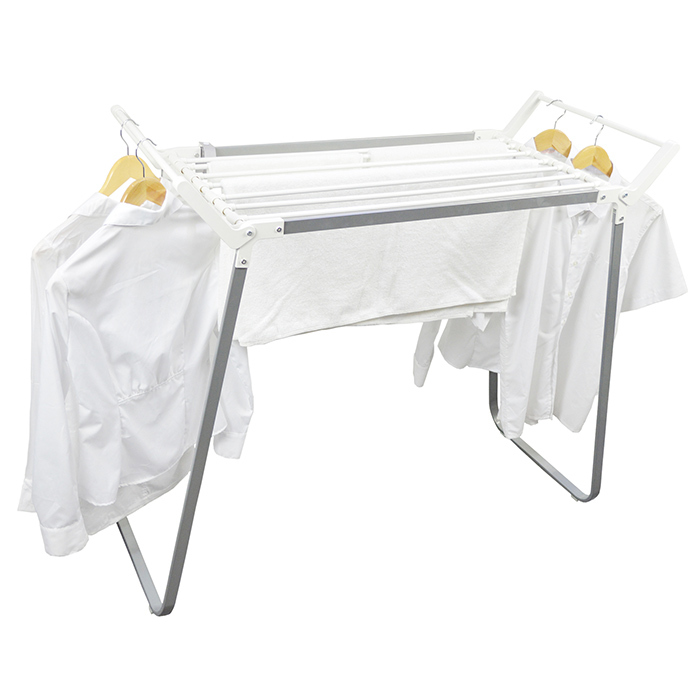 User-friendly clothes drying rack for quicker drying. 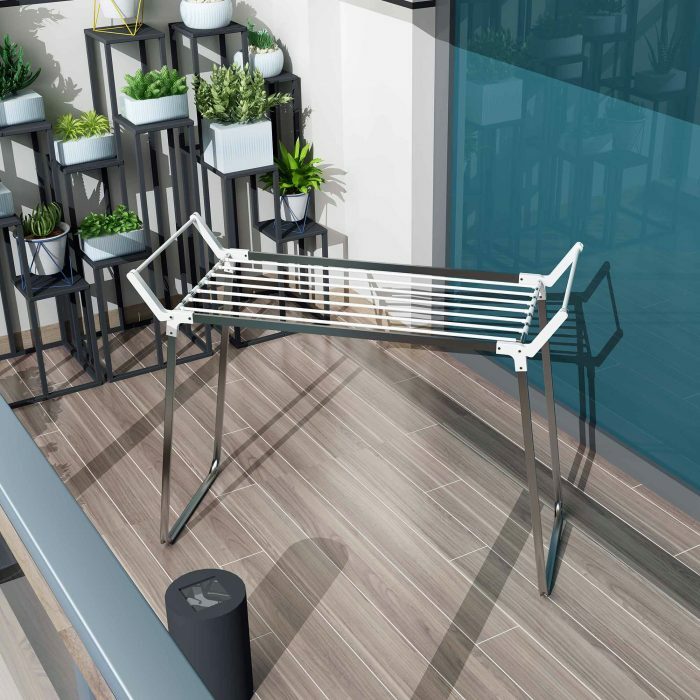 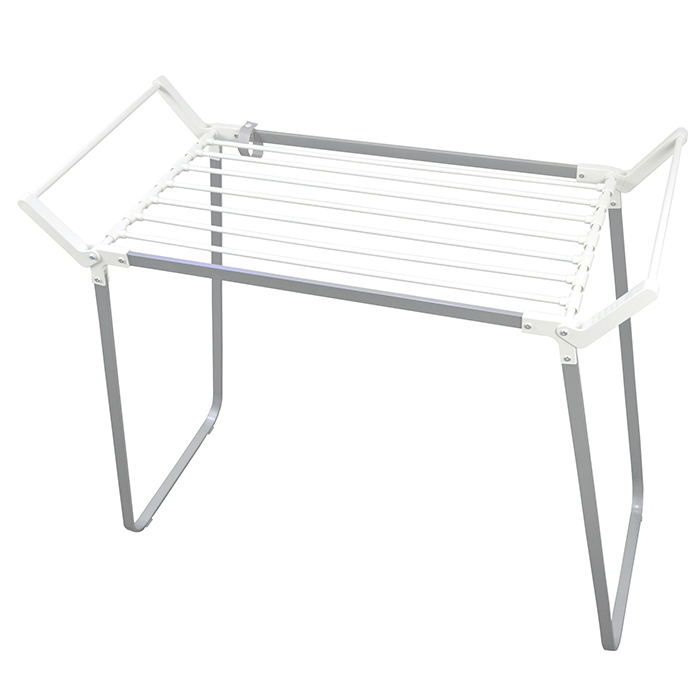 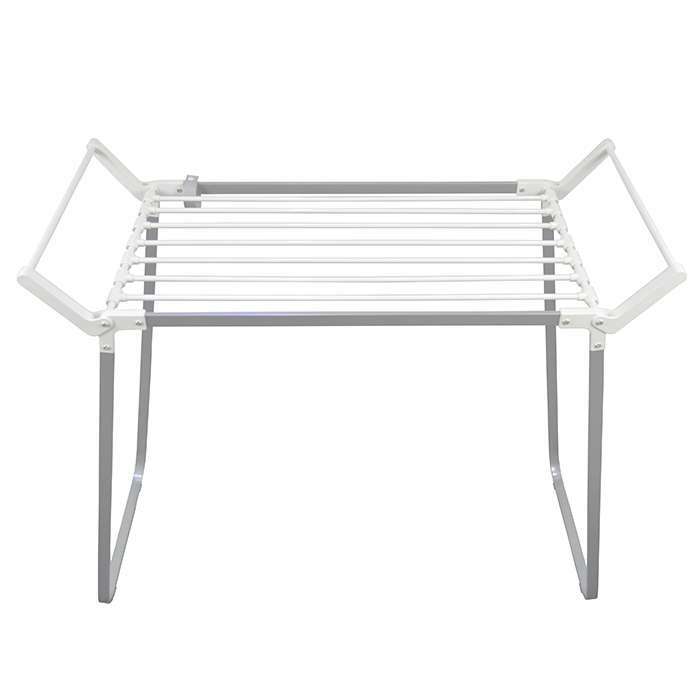 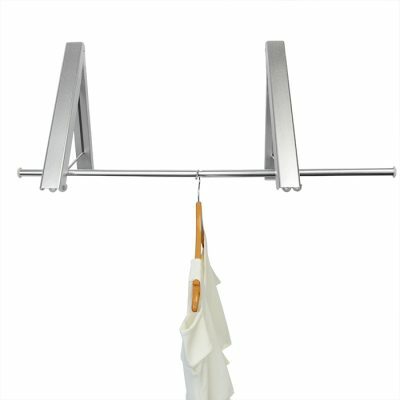 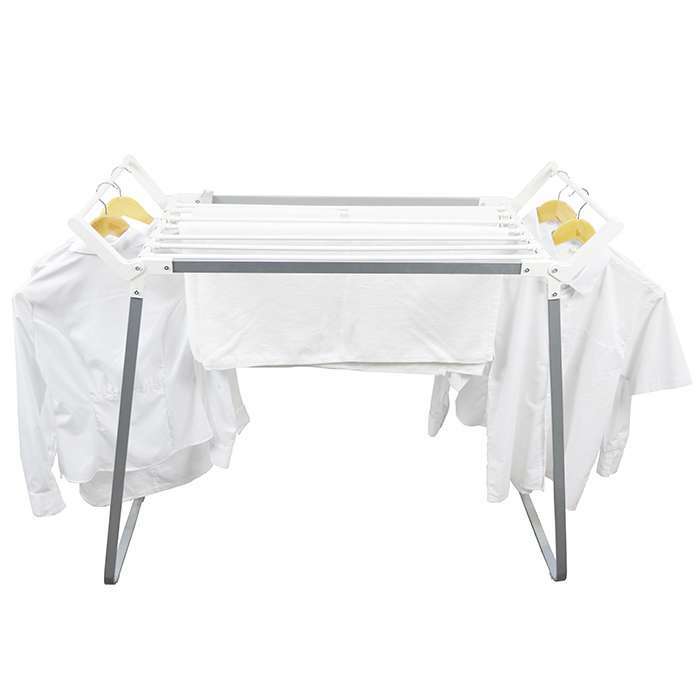 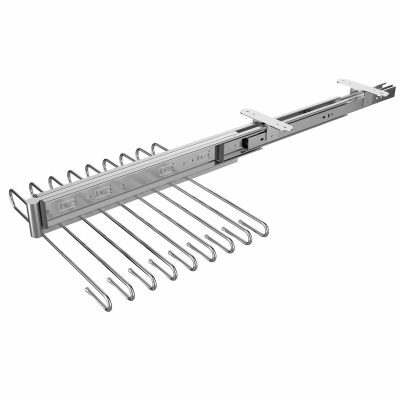 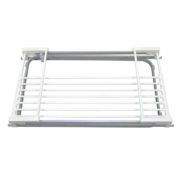 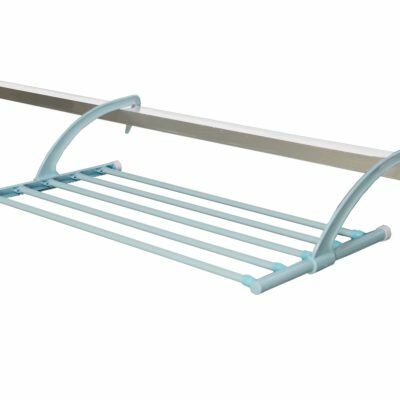 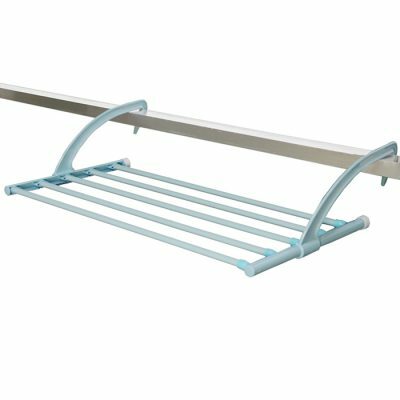 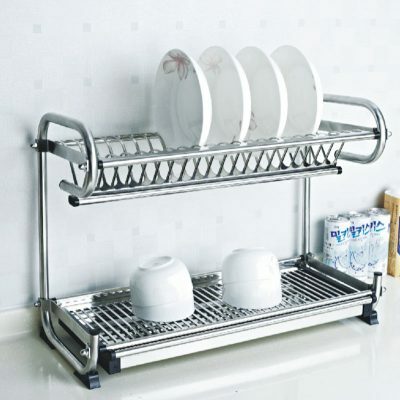 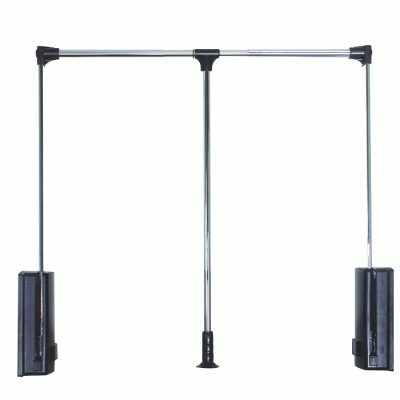 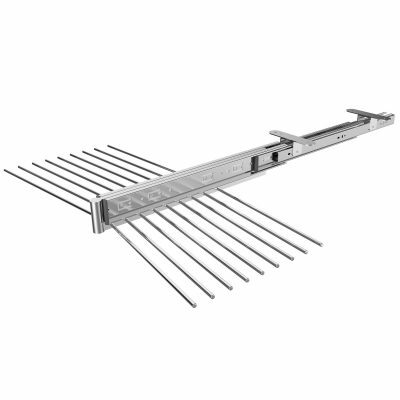 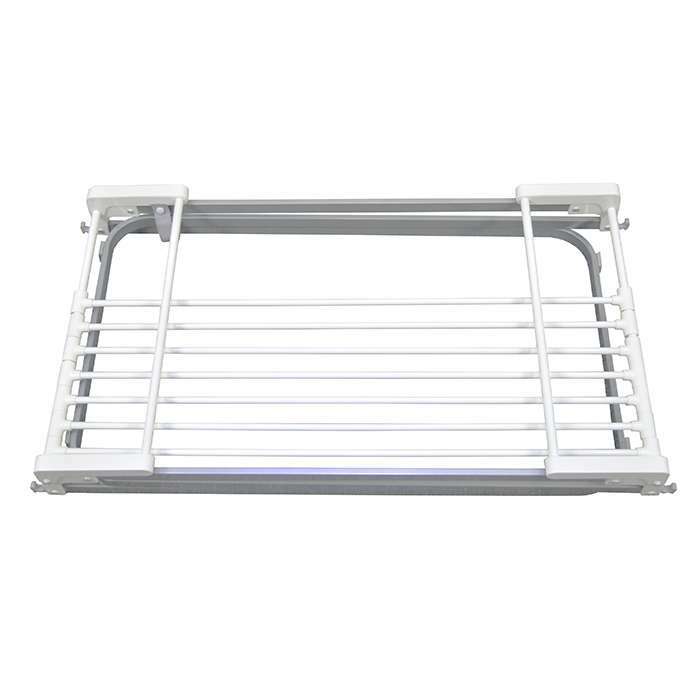 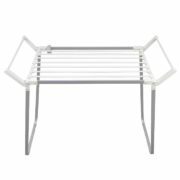 This Clothes Drying Rack has a high-quality Aluminum frame and thick adjustable drying bars sliding on either side. 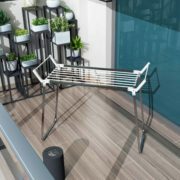 It can hold up over 100 lbs with extra 50 hangers on bars- that’s a lot of yoga pants! 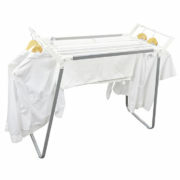 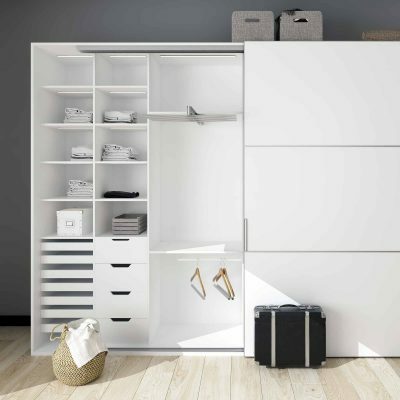 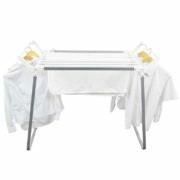 Moreover, laundry hanging on it will quickly dry up, because the rack is a opening structure that friendly to air flow. 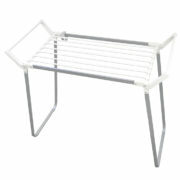 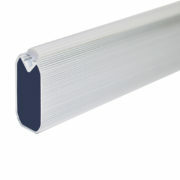 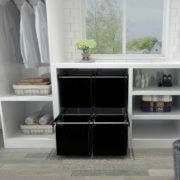 You can fold the sturdy rack into a slim package after use, and put it between the washer and dryer or behind the door. 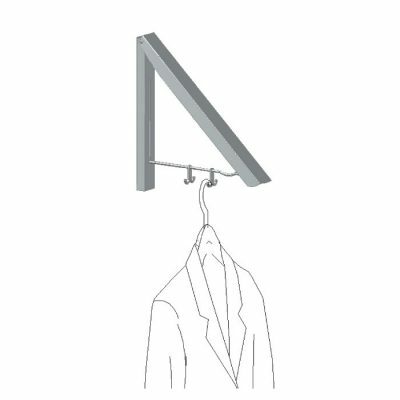 No assembly needed. 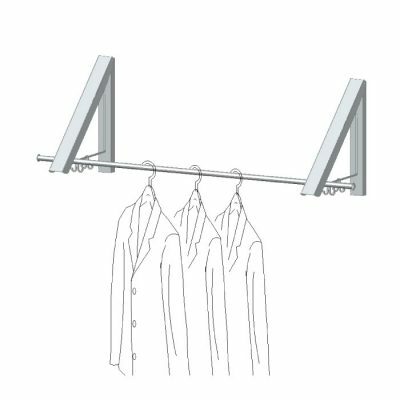 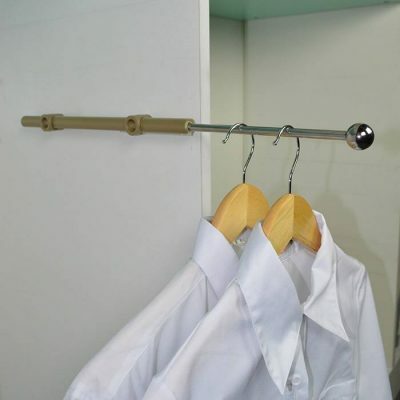 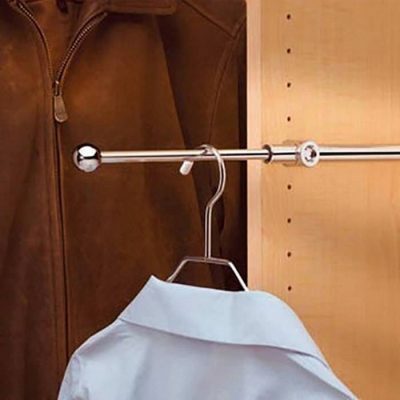 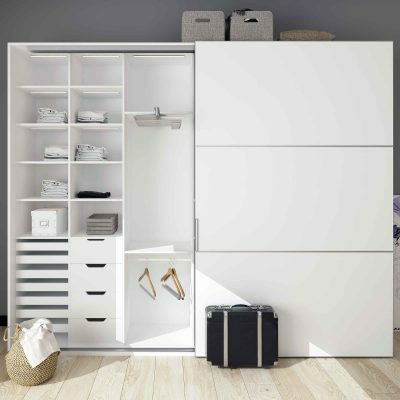 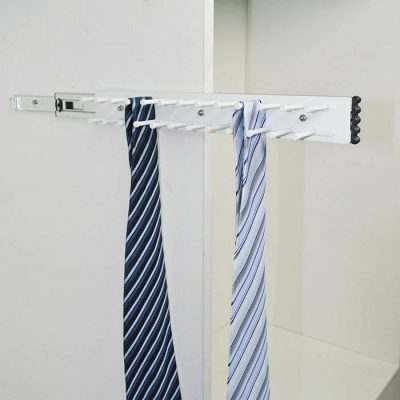 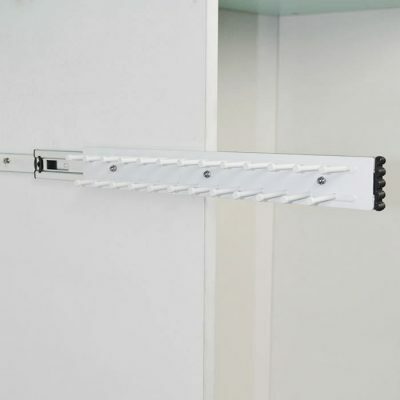 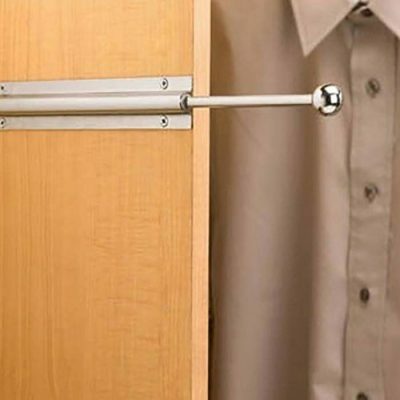 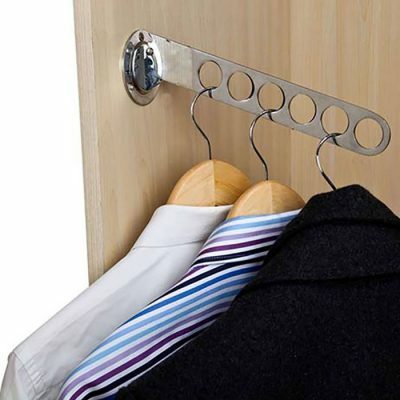 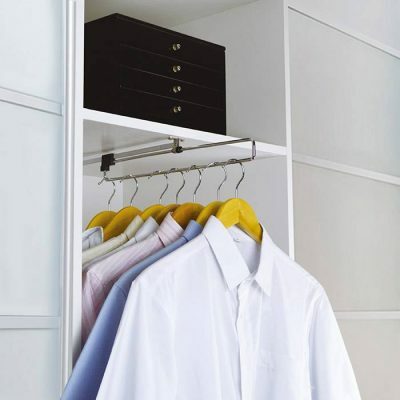 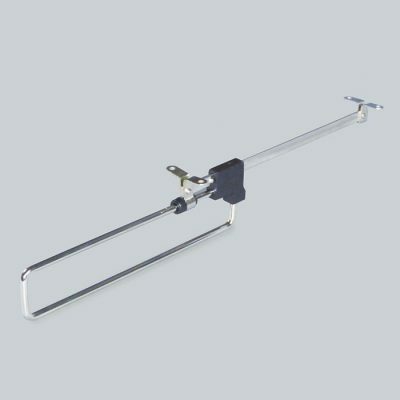 You might also like our Retractable Wall Mounted Clothes Rack.